TPMs (Total Process Management System, trade name owned by Maeda Corporation) is Maeda's solution to transparency and accountability. By combining state-of-the-art ICT (information and communications technology), TPMs makes it possible to share and visualize user needs and business processes so as to visualize the value of buildings. 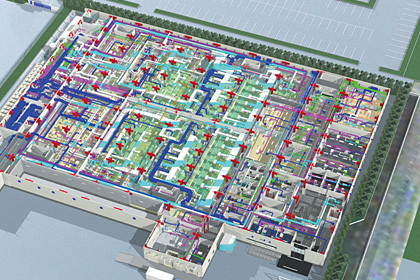 At the planning and design stage, for example, tasks such as exterior design, efficient layout design of factory equipment, and logistic planning checks and simulation can be done by using the MAEDA 3D-CAD System. At the construction stage, a rational construction plan is drawn up and quality information is made transparent by using such tools as Web cameras. After completion of the building, information thus collected is transferred to Maeda's own building information and history management system for efficient management. 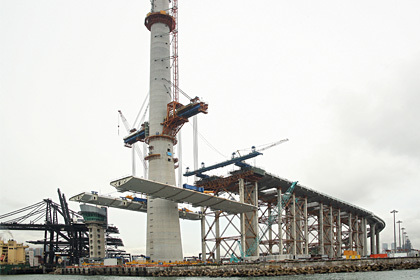 Maeda adopted the heavy lift construction method to construct the side spans of the Stonecutters Bridge, one of the world's largest cable-stayed bridges, in Hong Kong. 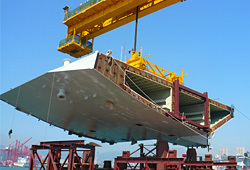 In this method, a number of segments were first welded together on the ground to form two segment decks, and these decks were simultaneously lifted into place. Compared with the method of joining the segments while on supports, the heavy lift construction method offers significant economic and safety benefits by greatly reducing the amount of steel needed for temporary structures and decreasing dangerous work at height. 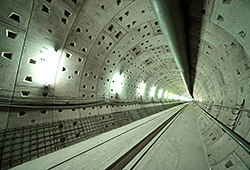 Maeda's urban civil engineering projects include a number of shield-driven tunnels in Japan and other countries including Hong Kong and Taiwan. 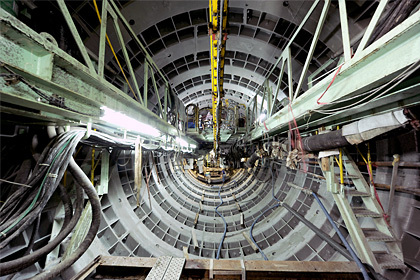 For the construction of an underground line in Taipei, Taiwan, Maeda undertook the construction of six tunnels and three stations as a non-joint-venture project. We are carrying out, safely and economically, the challenging construction work directly under existing subway and bullet train lines crisscrossing the busy streets in the city.